We can't believe that it's already our penultimate day here in Wales! Groups one and four enjoyed their river study today. We began at the source of the river and followed it down to a cave and a waterfall. It was an excellent day for nature - we spotted a mink outside the cave, a bat inside and a robin beside the waterfall. The children kept their smiles on their faces even when standing right beside the waterfall...and being dunked in head first! It was groups two and three's turn to do canoeing and The Big Pit today. We had some exciting historical news last night about Theo's great grandad, who used to work at Big Pit. This made the trip down even more exciting, due to the link to our school community. Group three really enjoyed their interactive tour guide who they thought was delivering his script live;. Bless. 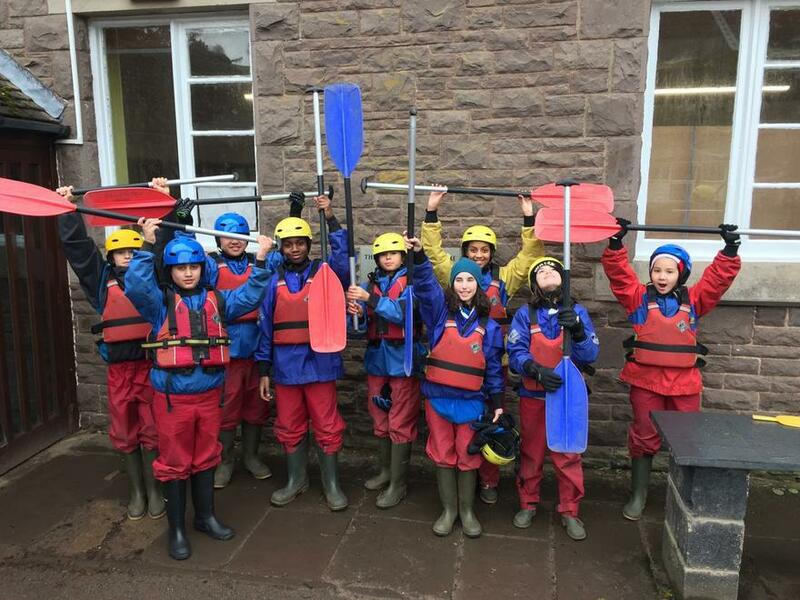 During canoeing, group three perfected their paddling skills and played games of 'heads, shoulders, bums and jump' and 'stuck in the mud'. Notable canoe teams: Isabel and Alex O (quiet but competent) and Alex and Elianna (butted heads but got there in the end). We had so much fun at the Disco! Today group one enjoyed a day of canoeing and down in the ‘Big Pit’. Mrs O’Brien enjoyed a relaxing canoe, powered by the crew of Sean and Keiara. The children enjoyed learning about the history of the Welsh mining industry, but were saddened to hear of the conditions that children worked in many years ago. Group two conducted a river study today. They loved their active learning, investigating a river from the source to a vast, wide river at the bottom of the mountain (five Elianna’s wide). They braved the waterfall’s power and even drank the river water. 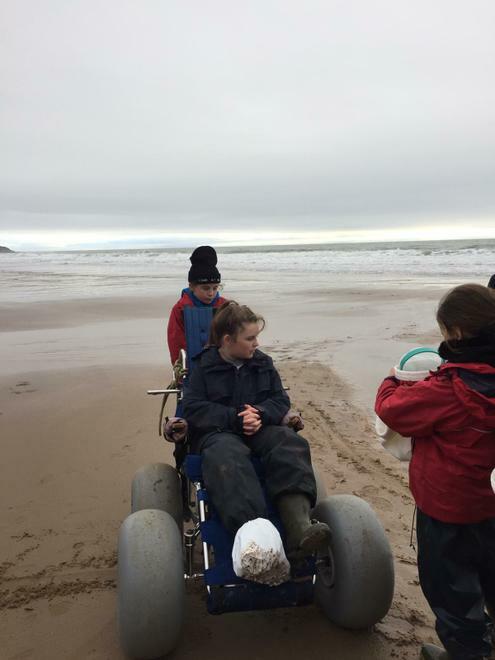 Groups three and four enjoyed a day at the beach together today. We started off by walking across the cliffs, enjoying the scenic views. We then stopped for an al fresco lunch on the sand. 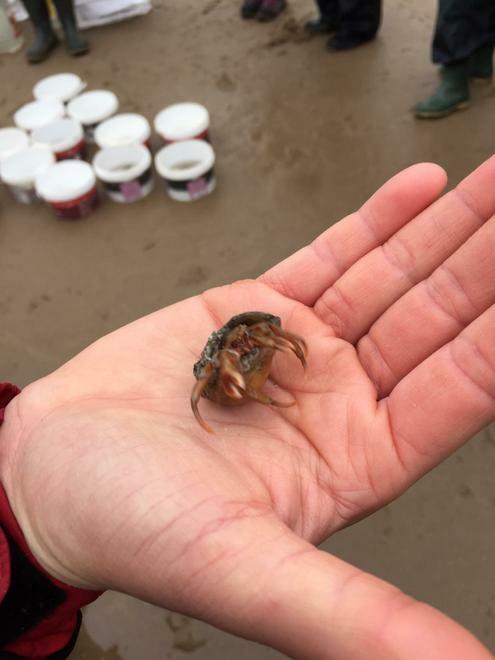 After this, we rock pooled and found three different types of crabs as well as a pretty fish. We finished off our day with some playtime, with some children choosing to brave the Welsh waters, some playing football and some doing beach acrobatics. We finished off our evening listening to Daniel Morden, the author and storyteller. The children were enthralled and inspired and it was the perfect way to finish off a tiring day. Time for an early night. A successful second day for us here at Pendarren! Group four enjoyed a morning at 'The Big Pit' - a mining experience at a real ex coal mine. 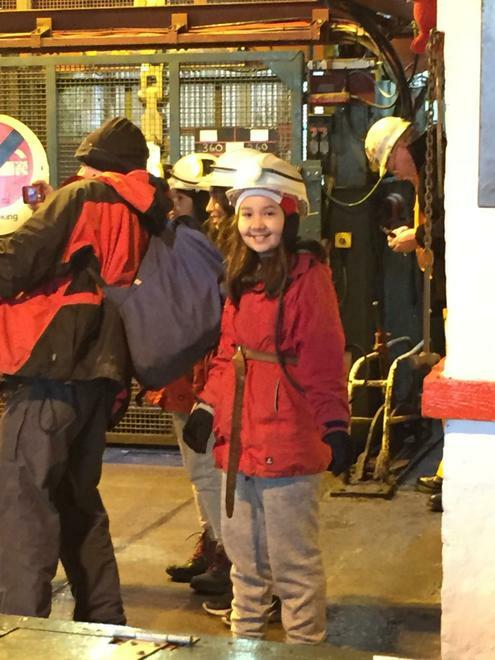 After descending 90 feet down into the pit, we learnt about what it would have been like for men (and children!) who used to work in the mines in the south of Wales. We enjoyed our time but felt sad for the children who would have had to sit in the dark and the horses that rarely saw daylight. After lunch, we went canoeing and had brilliant fun! 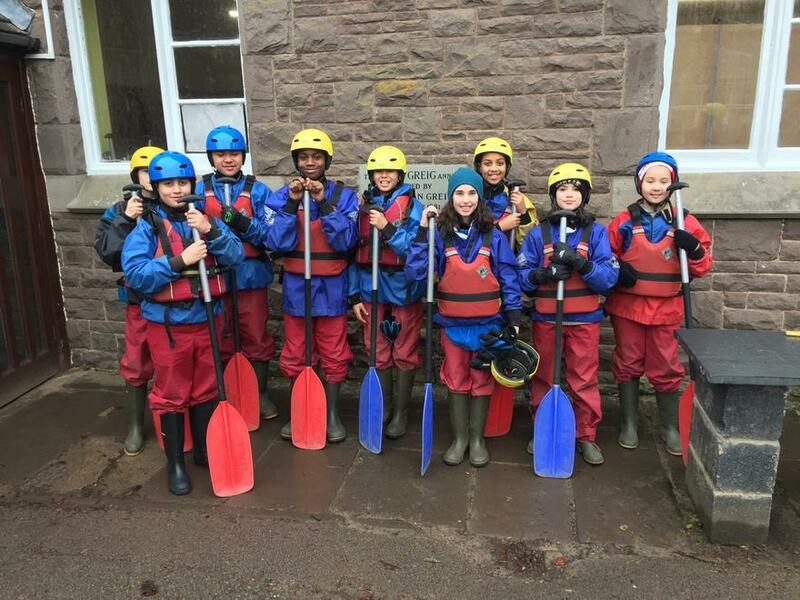 We canoed through ice, smashing it as we went, played water polo and reminisced by singing nursery rhymes. "You put your left leg in" began a domino effect of at least half the group falling into the icy waters. Elijah managed to stay dry until the moment we got back to the riverbank...only to accidentally tumble in at the last moment, a hilarious moment for himself and the rest of group four! Group three embarked on the river study today, following the path of the River Mellte. They began by meeting the ancient Maen Llia stone at its source. They then followed this down, via beautiful scenery to the caving spot. Here they were led on an adventurous trail; wriggling themselves through the worm hole and posting themselves through the infamous letter box. They then had an invigorating shower at the 40ft waterfall - see below for a photo with how impressed they were afterwards. 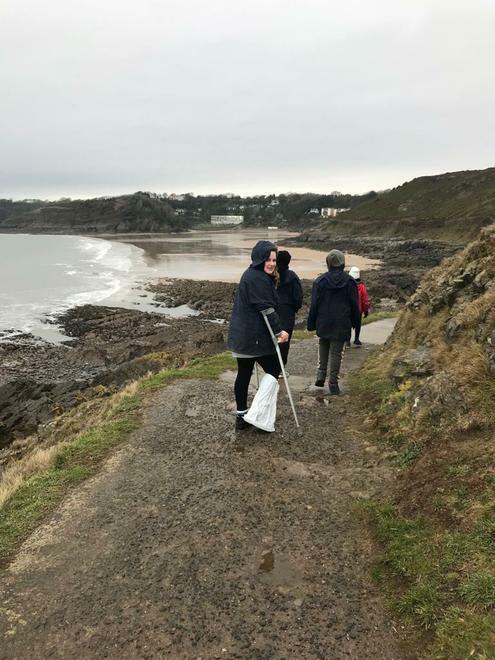 Groups one and two went on their coastal visit today, to Mumbles beach, Swansea. First, they walked along the beautiful coastal pathway looking for seals, before stopping for lunch on the beach. 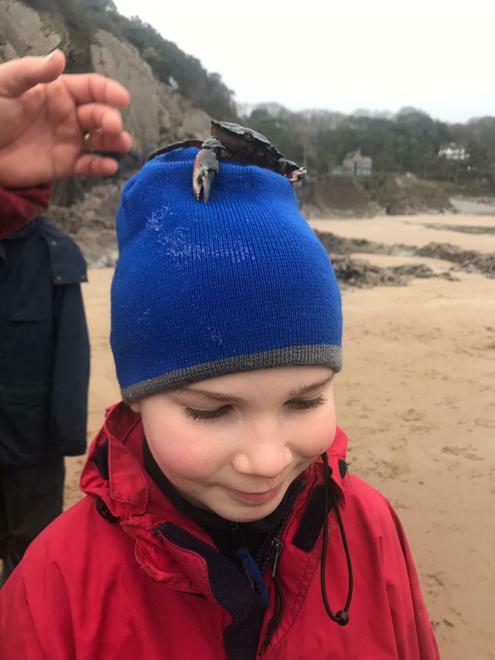 The children then spent an hour exploring the rock pools for shrimps and crabs, finding many different crabs on the rock walls. The children then braved the waters just before going home and had a swim in the sea! A big congratulations to Isabel, who is such a trooper and is giving everything 100% despite having a broken ankle. We have had a fantastic first day in Pendarren! After a rainy start, we were treated to glorious Welsh sunshine on our arrival. We enjoyed lunch in the sun and got kitted up so that we could get stuck straight into our activities. Groups one and four enjoyed a beautiful walk around the local area. We made fires, raced, climbed, enjoyed scenic views, fit 12 people into a tree trunk and even learned that rabbit poo is in fact just churned up grass! Groups two and three enjoyed an afternoon of orienteering in Pendarren House’s grounds. This involved using logic and clues to find different items around the grounds, whilst surveying and learning about our new surroundings. Rose and Nina were extremely successful in their completion – finishing not only first, but in a near record time of 16 minutes! We have just enjoyed some pizza and are finishing the last of our unpacking and bed making – a lengthy task for some. We look forward to finishing off our first day with some stargazing in the night sky. Not long until we will be tucked up in bed and straight to sleep…hoping that the teacher’s don’t find our midnight snack stash! 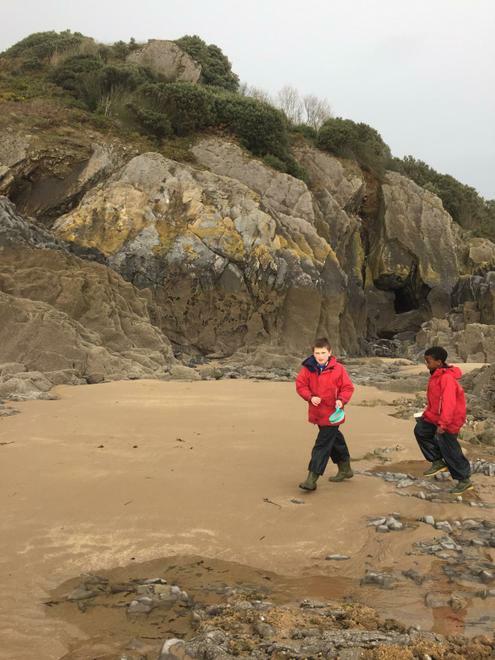 Every year our year six pupils have the opportunity to spend a week away at Pendarren, an Outdoor Education Centre in Wales, along with members of St Gildas' staff and specially trained staff in Pendarren. It is the highlight of year six and generations of St Gildas' pupils have made special memories that last a lifetime. Some of our parents went to Pendarren and still talk about it with great enthusiasm and fond memories! Please find a snippet of information about last year's trip below. 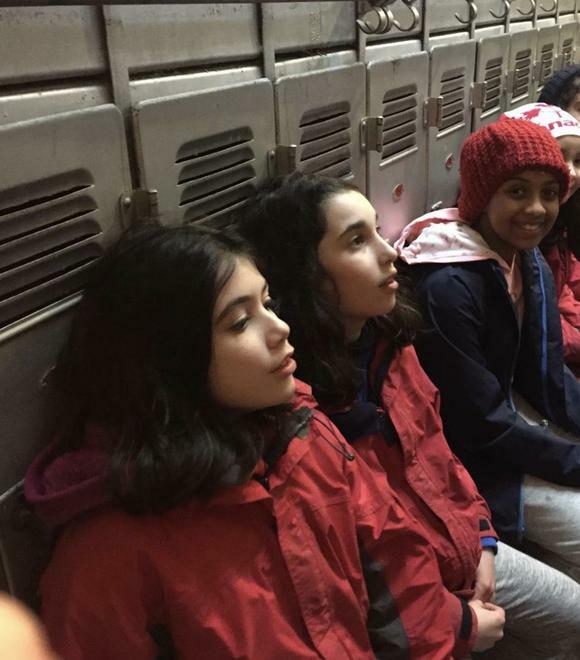 This year's trip is planned for Monday 4th February 2019 until Friday 8th February 2019, everyone in year six is going and they are counting down the days! Please find more information on the Pendarren website, link below. After a reasonably quiet evening we woke bright and early ready for our adventures. We had a warming breakfast of pancakes and bacon after our staple cereal and toast. Today was -1 as we woke, which made for a beautiful scene: mist rolling in on the hills and sparkling frost. Half of us headed for the coast today and half of us on ‘River Study’. 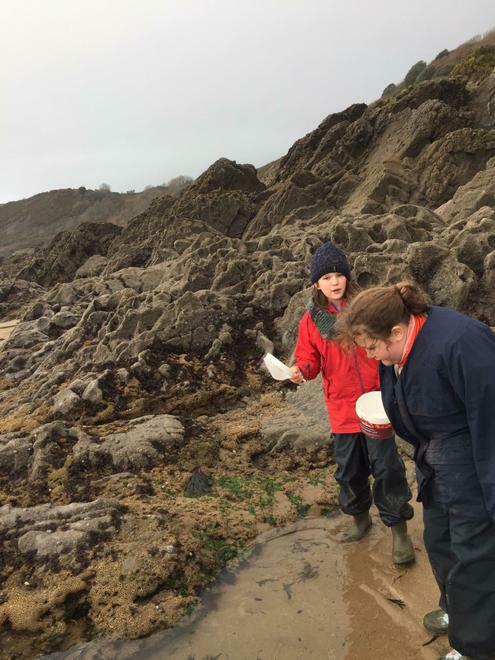 The coastal visit is a short drive to Mumbles, where we spent some time looking in rock pools. 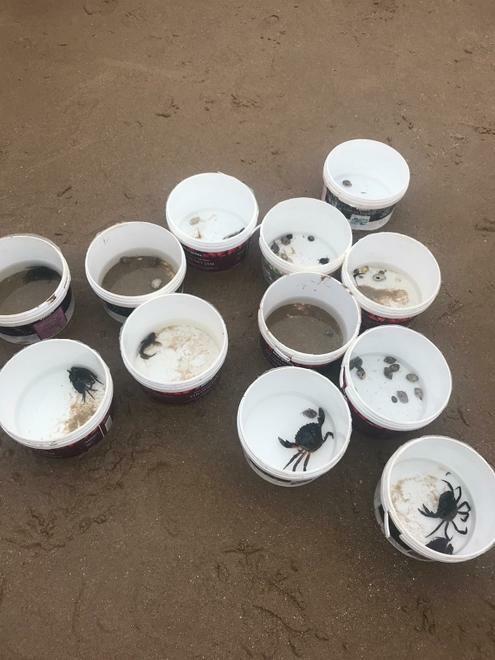 We found crabs 🦀 of many kinds, shrimps and this year one of us found a juvenile lobster! Very rare. We ate our sandwiches amongst the rocks and forced some fruit down. We had time for a little play on this beautiful beach. 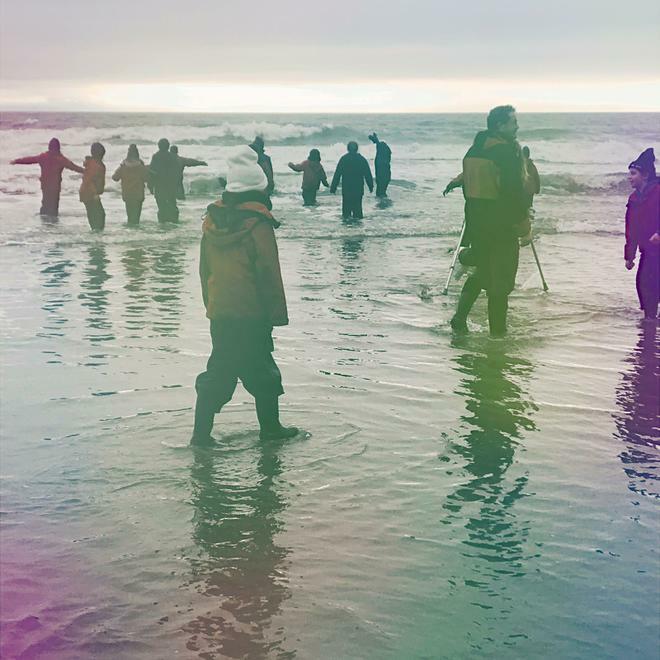 Some of us were even brave enough to paddle/soak ourselves in the freezing cold sea. 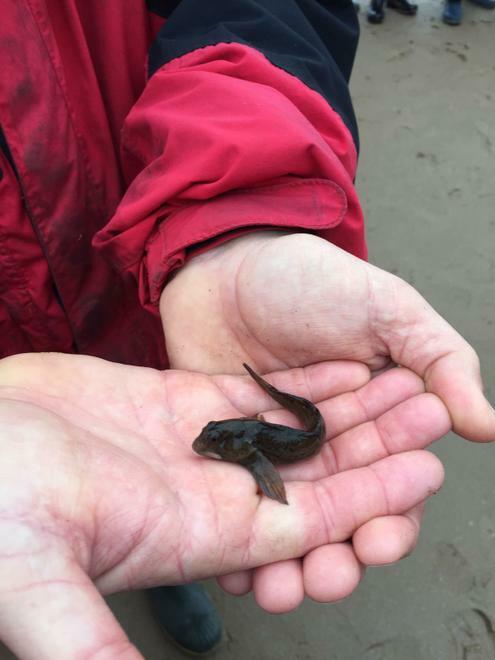 Apparently the wildlife is amazing here compared to LA, but our seas are very cold. We then walked the mile and a bit stretch of coastal path for some spectacular views. Some of us claimed to see a shark 🦈, but others weren’t convinced. We sang our way home and showered off the sand. Some of us had an impromptu quiz followed by a pasta Bolognese dinner. We also enjoyed a chocolate cake and some cream! We are lucky to have a great local storyteller Daniel Morden, who entertained us with riddles and giggles. It turns out we are quite talented at riddles and solving them. We were all thoroughly impressed. We have just been to the tuck shop to spend our lovely pocket money… Let’s hope we fall asleep promptly! A mixed bag of weather today. We were concerned when we were awoken by drumming rain. Luckily that didn’t last as long as the early morning chatter, and the hail stones only lasted for brief moments. It means we did see some snow-capped mountains today. This morning’s breakfast was eggs and waffles (well, smiley face potato things). Half the group headed on the ‘River Study’, some canoeing, High Ropes, and some down the ‘Big Pit’. The River Study is following the River Mellte from its source to its mouth (well, almost). We drove in to the mountains and found tributaries and watched them as the changed along our journey. One of us had a brief hair wash in the River. We drove further and looked at how the rocks changed on our journey as well as the River. We ate our sandwiches and arrived at the main event. The River had carved its way in through the rock and made some fun caves! We had to share them with Army Cadets, so we knew it was the real deal. In we went to face our fears. Turns out, we are very brave and don’t mind small holes, sludge and freezing underground rivers. 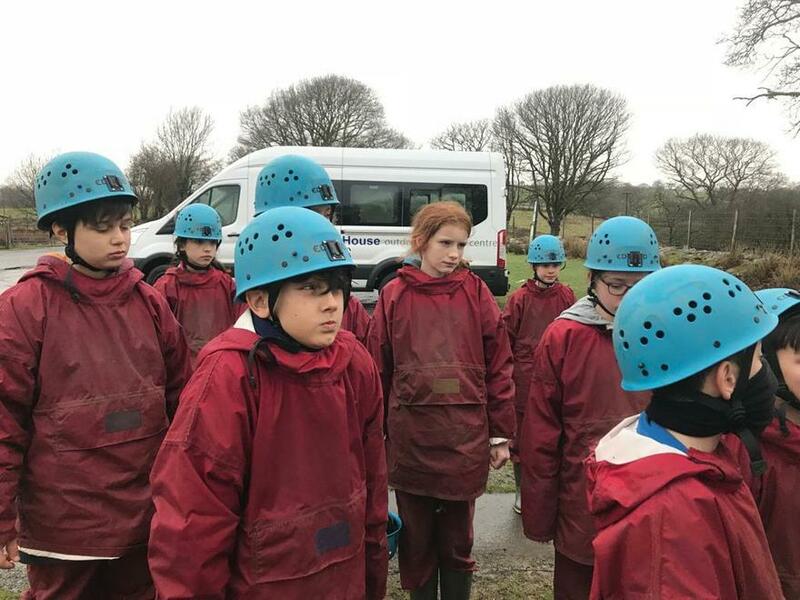 Some of us were really excited, because ‘We love limestone!’ Apparently we have been some of the most adventurous Year 6 groups for a while! Blog to be updated later tonight but here are some photos to get you excited! So our last full day arrived quicker than we expected... and what a day it was! We filled ourselves with bacon and beans this morning. Lucky it was warm, because the weather was not! Half of us headed for the coastal visit today, whilst the other half experienced canoeing, High Ropes and The Big Pit. Canoeing is tough on the arms and cold on the behinds. We had some races and played some polo. We think the teachers are rather competitive so we took it quite seriously. Unfortunately this meant one of us had to put ourselves on the line and ended up in the canal. That is what happens when you’re determined to win! Success. We all then proceeded to ‘Silly Salmon’ into the canal. The Big Pit is an old coal mine turned in to a museum and experience. It is run by miners who have previously worked there and it was fascinating! We kitted up with helmets, head torches and belts. We travelled down in the same old shaft which has been running for years. We learned about coal mining through the ages and the implications on South Wales and the surrounding communities. We were more concerned about the Pit Ponies than anything else, even though we learned about children as young as 5 having to work in the mines. This evening, we have packed in: fish chips and peas; jelly and ice cream and a tuck shop. We are now packing, or we are supposed to be... but really, we are making a lot of noise getting ready for the long-awaited D-I-S-C-O. Flossing is on the horizon.